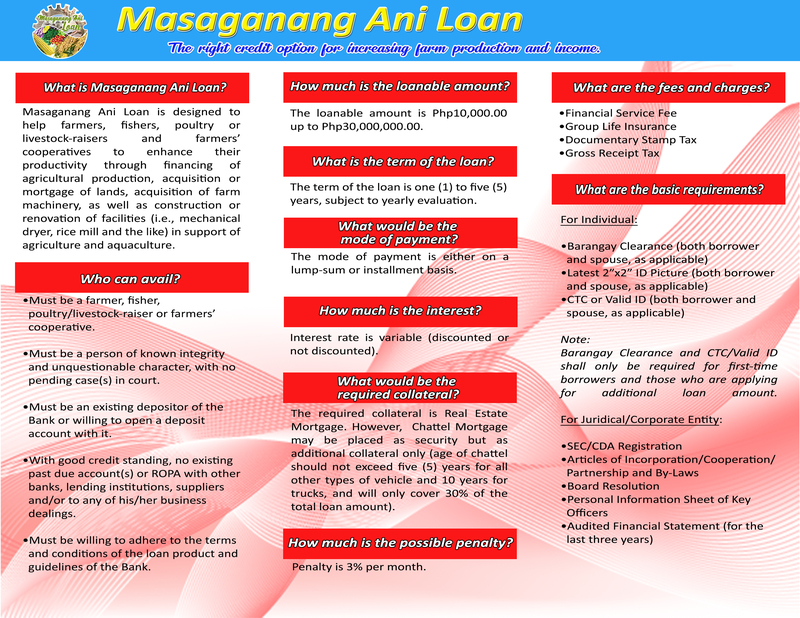 Increase your farm production and income through FICOBank’s Masaganang Ani Loan. This agricultural loan product is designed for farmers, fishers, livestock-raisers and farmers’ cooperatives. It is intended to augment productivity through the financing of agricultural production, acquisition/mortgage of land, acquisition of farm machinery and construction/ renovation of facilities in support of agriculture and aquaculture.